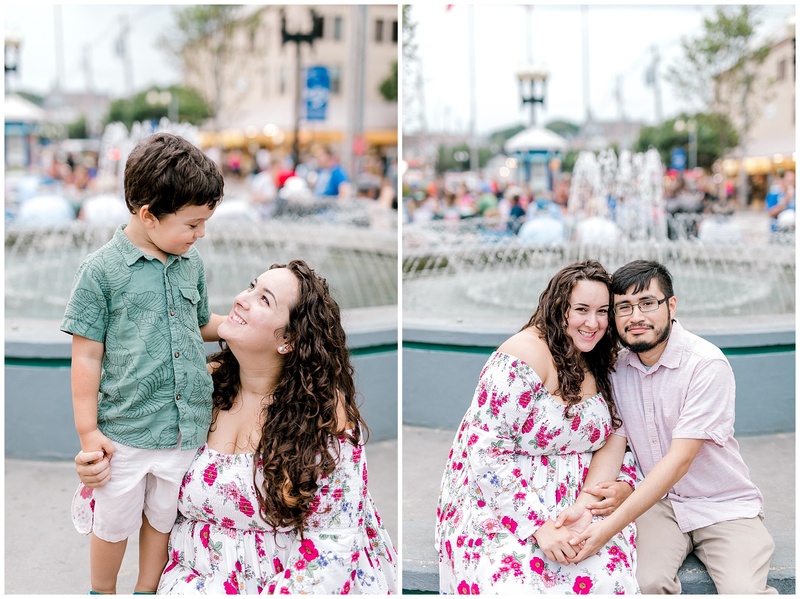 Bri and Chris have been dating for about a year and a half, and they were so excited for their first family photos! 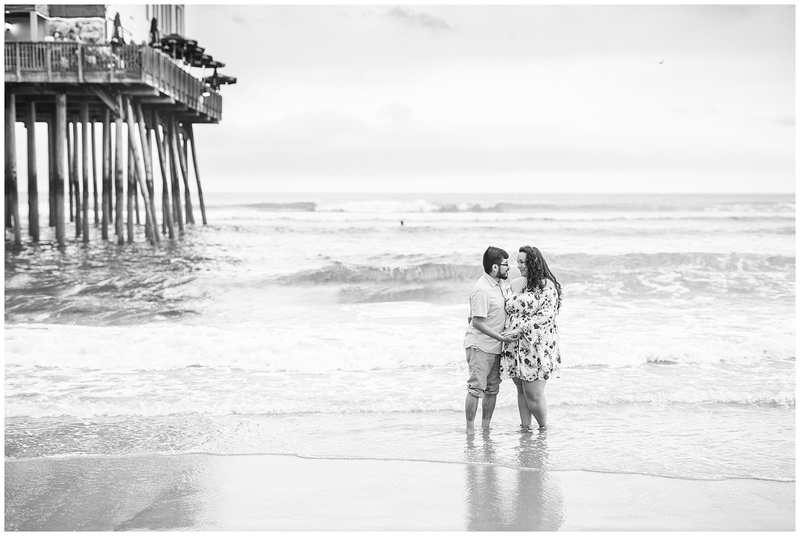 I met them at the pier at Old Orchard Beach on a warm summer evening. 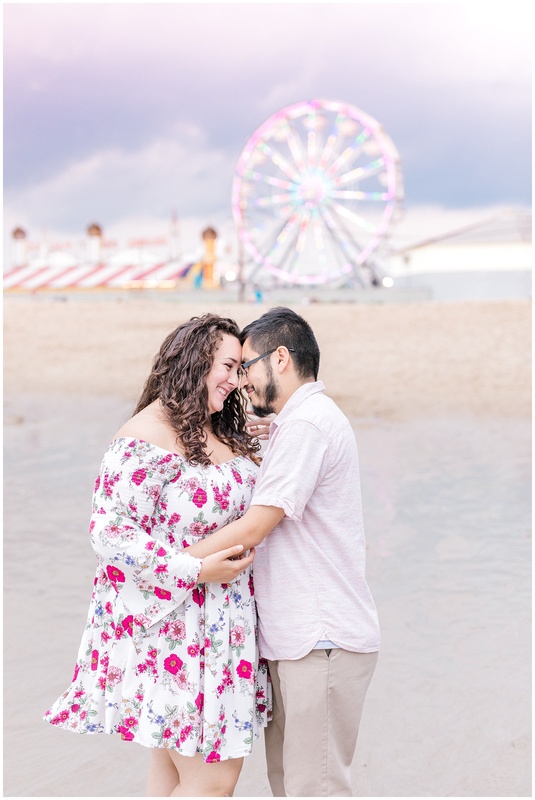 I was so nervous on the drive down there because there were so VERY dark, ominous clouds in the sky! 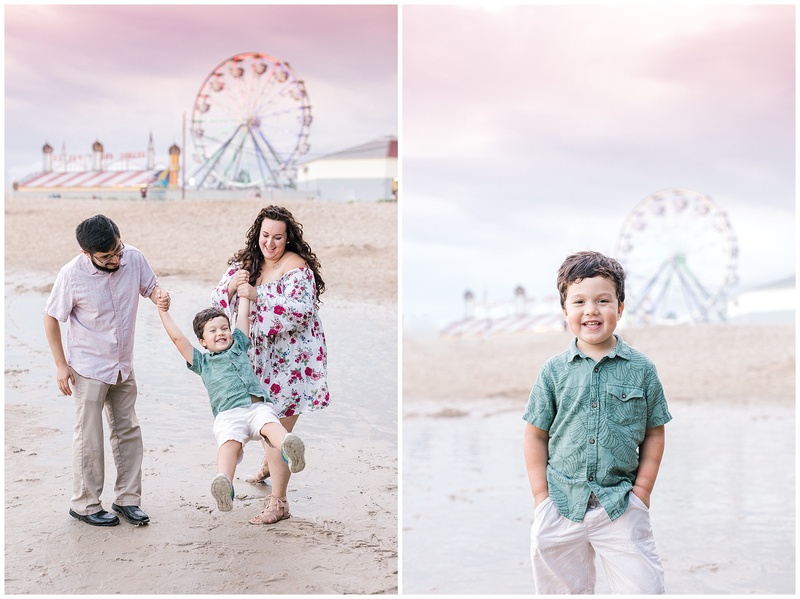 Thankfully, the clouds receded a bit by the time I reached the pier, and in fact, we were left with some really cool colors in the sky for sunset! 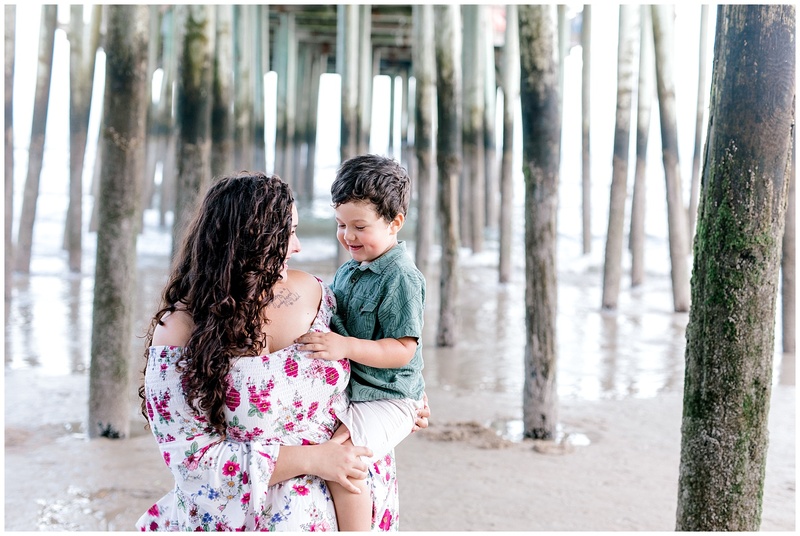 Bri’s 4 year old son, Titus, has the best smile and the cutest dimples! 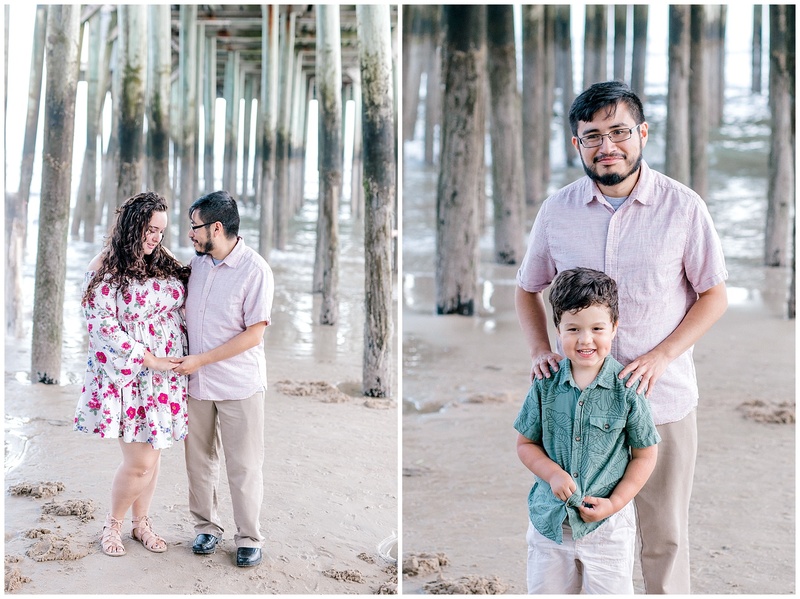 I love the outfits that Bri and Chris picked out, the lighter neutral colors look amazing on the beach! 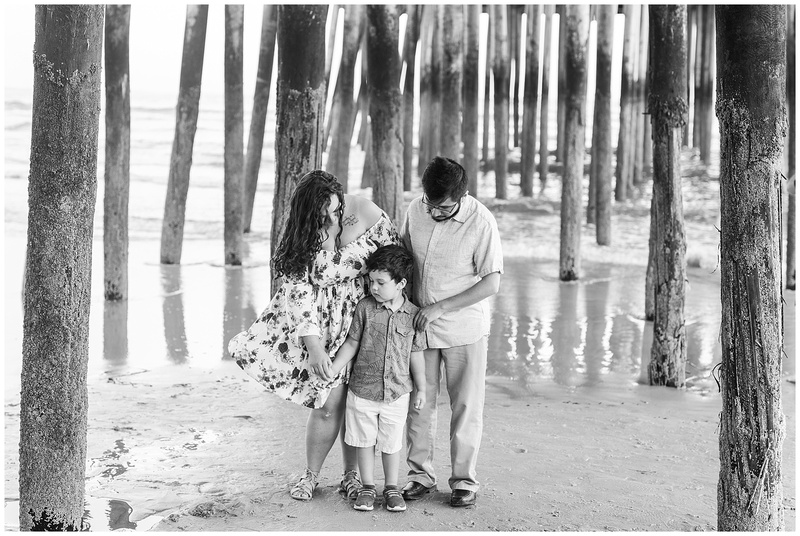 We started the session under the pier, a well known spot for locals and vacationers alike! 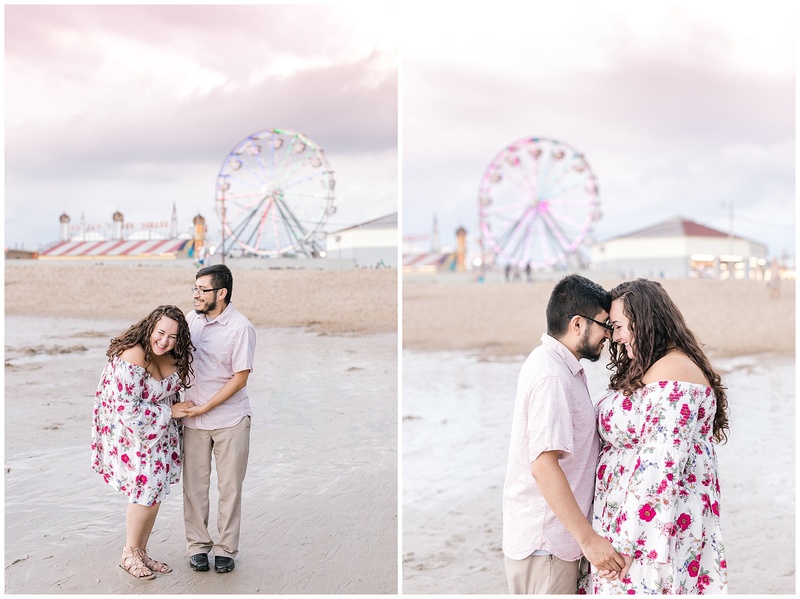 It was then that I noticed the amazing colors in the sky by the ferris wheel! 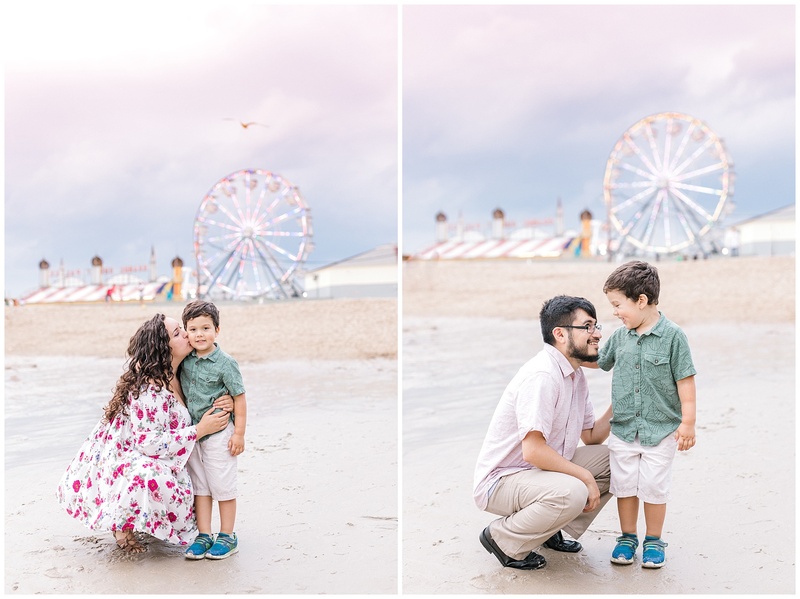 With the storm looming, the skies were purple, pink, and blue! 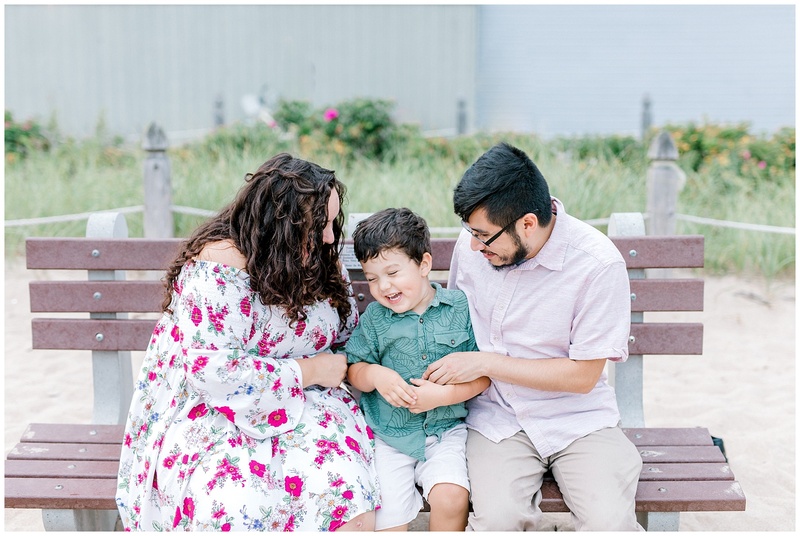 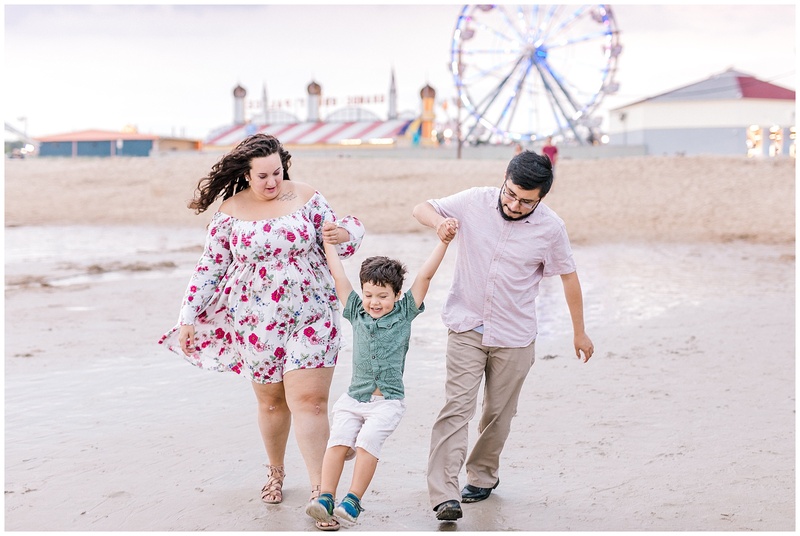 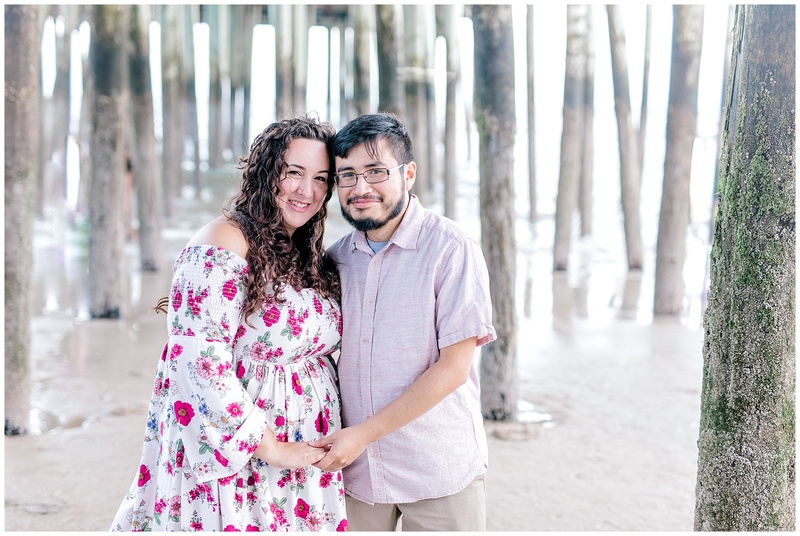 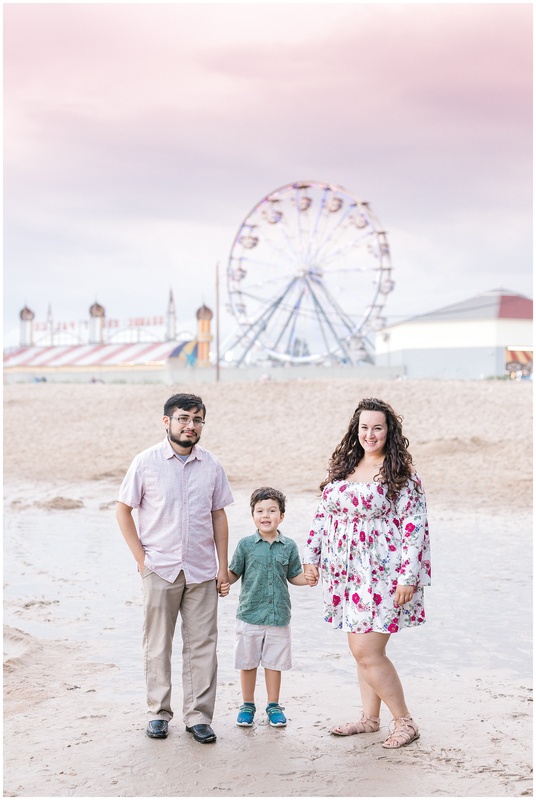 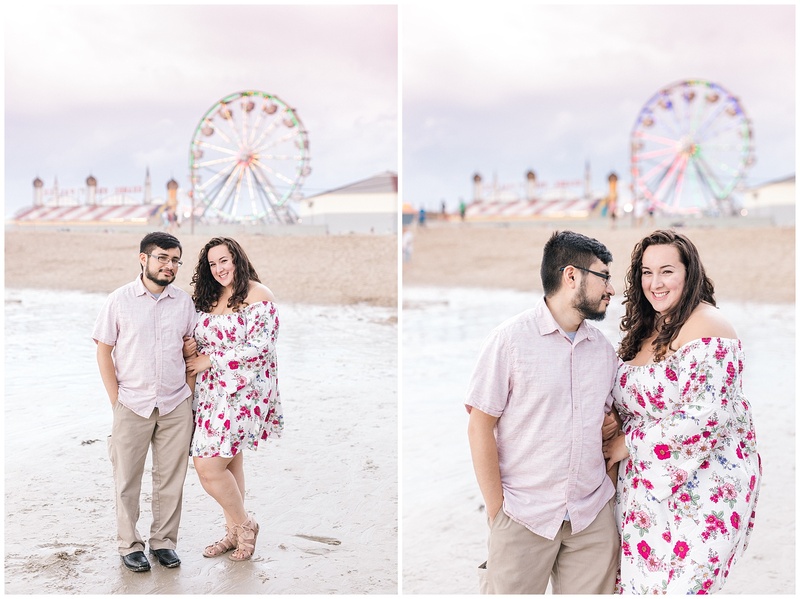 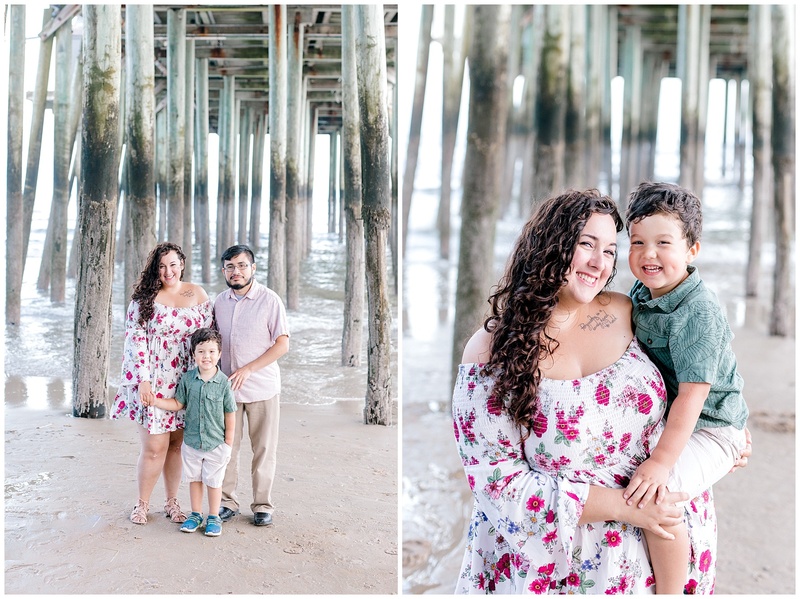 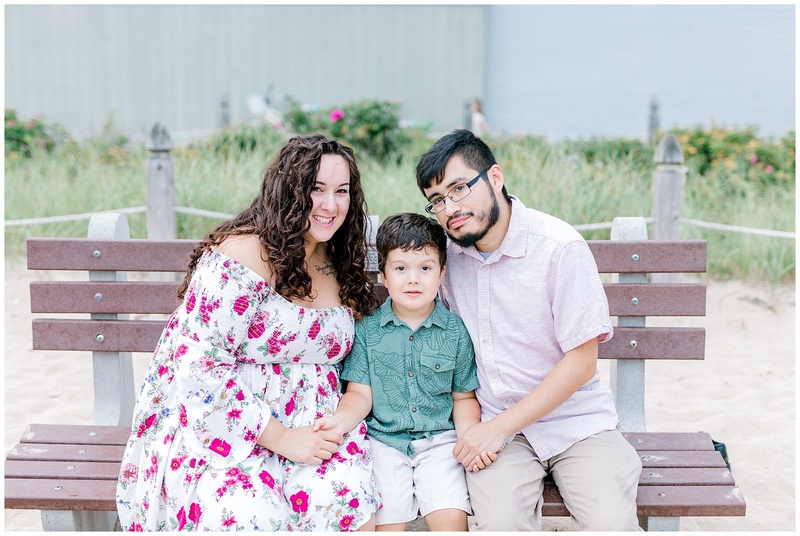 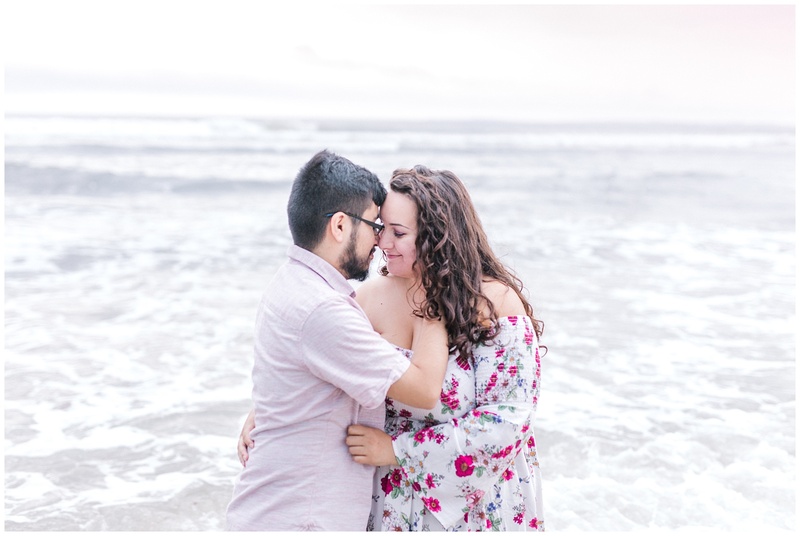 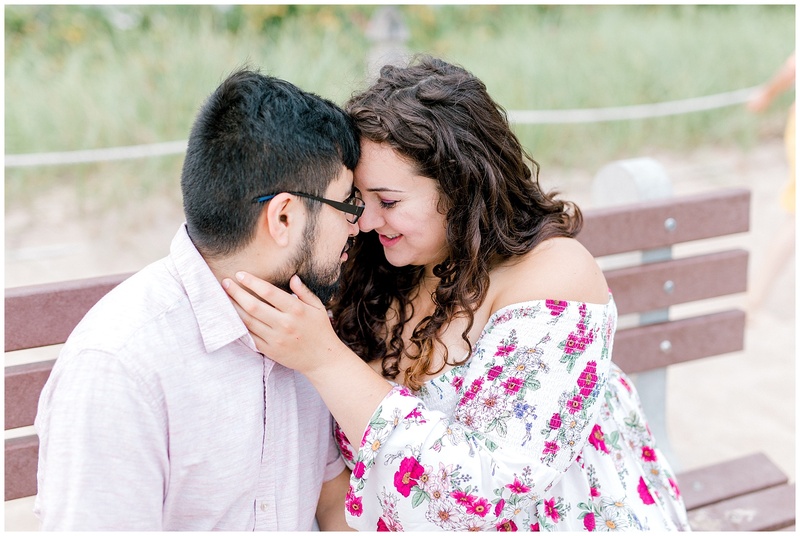 The ferris wheel in the background gives such a fun look to the photos, and definitely make this beach session unique! 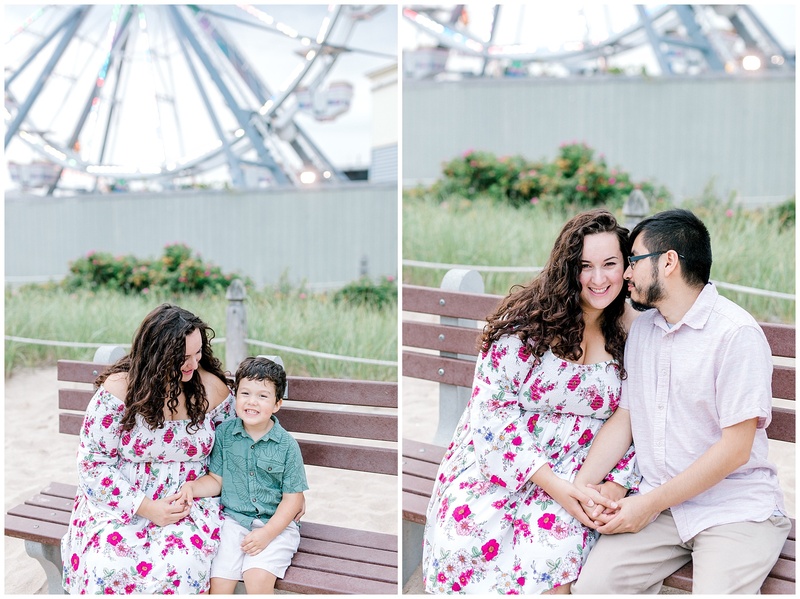 Thank you Bri, Chris, and Titus, for such a fun evening!